Imagine for a minute a medieval based RPG game without monsters or dragons. A game based on real medieval Europe, fit with peasants, monasteries, kings and so on. 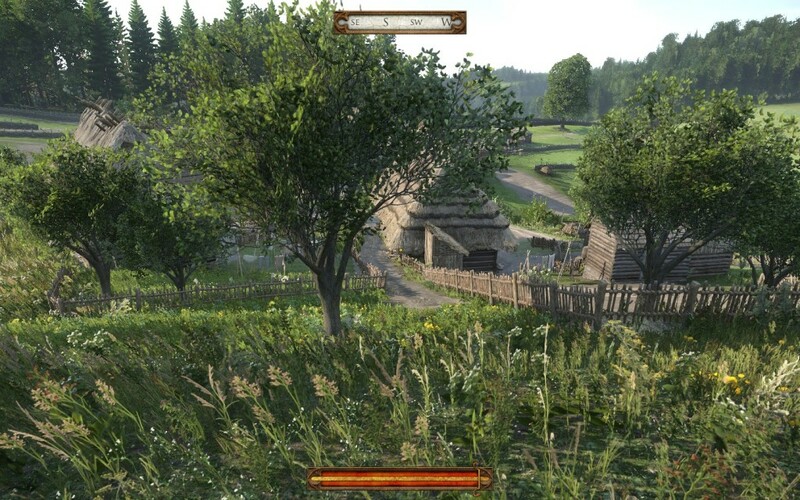 Czech Republic-based Warhorse Studios aims to do just that with their upcoming, Kickstarter funded game Kingdom Come: Deliverance. Set in Boehemia in the 1400s, Kingdom Come is designed to be as realistic as possible. Powered by Crytek’s amazing CRYENGINE technology, the game is a first person open world RPG that is meant to completely immerse the player. No elves, magic, dragons, monsters — the game is meant to fully emulate the dark ages of Europe in the most accurate way possible. Kingdom Come: Deliverance is a Kickstarter-funded game, initially setting out to raise £300,000, about 10 percent of their estimated £5 Million budget. When the Kickstarter closed, Warhorse had raised over £1 Million, and has continued to crowd-fund since. As of October, the studio has raised over $2 Million USD towards their project. (Full Disclosure: The author of this article has not supported the Kickstarter or Crowd Funding for the game. 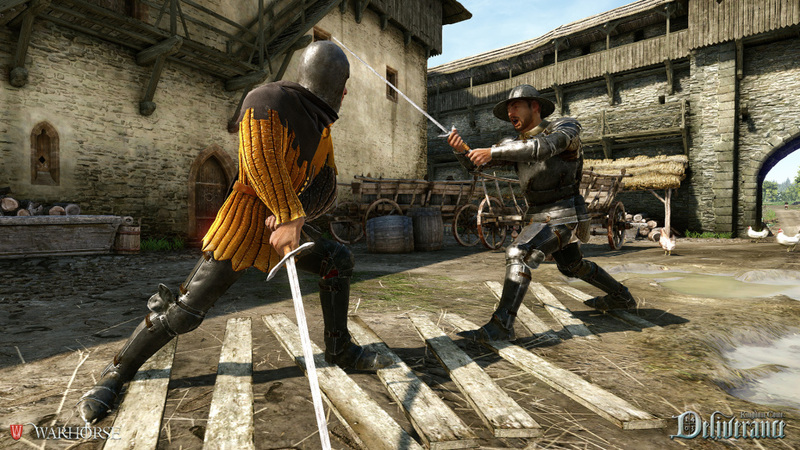 The Alpha was previewed with a Steam Key provided to Legendarium by Warhorse Studios. The author will not financially support a Kickstarter fund without disclosing it in future coverage.) Backers who supported the game past a certain financial benchmark ($45+) were given access to the Technical Alpha released the 22nd of October. The Alpha is very basic, essentially it was released to showcase and test if the game could run on a myriad of machines and set-ups. My rig is pretty good, not the best, but definitely higher than your average mid-range PC. While the game is also planned to release on the current-gen consoles (Xbox One and PS4), the alpha was limited to a PC release for the time being. There is no word on when a playable version of the console release will be made available, or if it will before launch. Beautiful landscape with the village of Sampose in the middle. The game drops you into an idyllic setting: a large open field with a small village in the middle. No direction, not instructions on what to do: you are simply there. You can make your way to the village and interact with the townspeople, or if you feel like it, you can simply go explore. While there are those pesky invisible walls preventing you free range on the game world, those would undoubtedly be gone with the full release. The power of CRYENGINE is on full display, and even though the engine is incredibly scaleable, it is also very demanding on your system. I tested the game with the highest settings possible as well as the next notch down and noticed some performance difference, with the lower settings running a little better. My PC was able to run the game on the highest settings between 40-60 FPS, so I stayed with that for the best experience. Even though the game looks incredible at this early of a stage in development, you can still tell immediately that this is just an Alpha. Thanks to a bug with AMD cards, my water will oftentimes look purple (something they are working on). 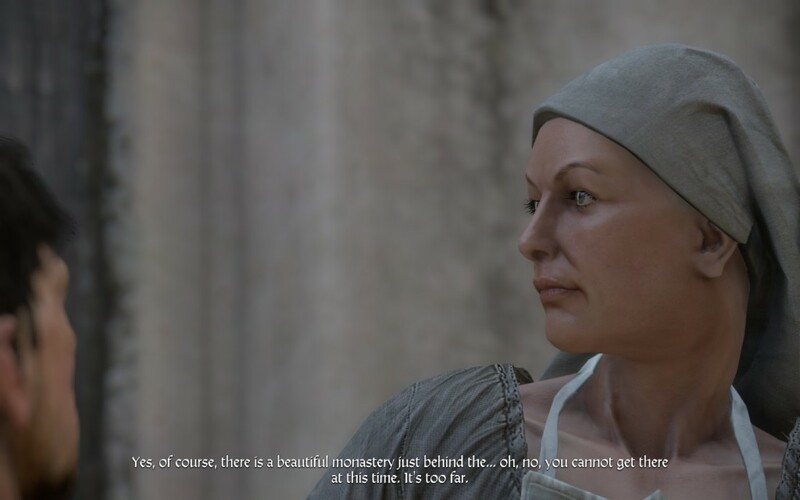 Also, when talking with NPCs, the camera will often times show the person talking at weird angles, or you’ll be carrying on conversations through walls. There are some animation bugs to be worked out, such as a weird neck turn a NPC will do, making their neck look like Mr. Fantastic was stretching it out. Another is some clipping with a character brushing the hair out of their face, only to have their hand and forearm go completely through their head. Again, very much an alpha, and it’s to be expected. For a game that is still in alpha, it runs surprisingly well on PC, and that can be attributed to the fact that it is being built on the platform. In an era where most games are built for console and PC is usually an afterthought, it is refreshing to see a developer take the opposite approach. Inevitably what this will actually mean is a better console port down the road as well, making for all the versions of the game to be the best they can be. Kingdom Come is about realism, as I stated before. What this means is period-accurate clothing, combat styles and even recreating real-world castles and buildings with the help of historians and architects. The village at the center of the plains showcases this perfectly. Buildings painstakingly recreated to look like a small farming village, villagers wearing meager clothing, not necessarily matching as if to say they are wearing what clothes were available to them. Guardsmen look great in their light steel armor, though not completely decked out with full steel plate as a knight might be. While the homes follow the same basic layout, that could easily have been the case during the 1400s to cut on building cost. I wouldn’t chalk that up to poor game design, but rather sign of the poor standing of the villagers. While fencing isn’t in the alpha, you can be sure it’ll be a large part soon. Talking with the townsfolk is possibly the only tedious task in the alpha. You can interact with the villagers by pressing “E” (Or “A” on your controller) and most often than not the conversation will start quickly. Other times, however, a villager may walk away for a few seconds before you’re plunged into the dialogue screen. The scenes where the townsman is talking take forever, especially when the game isn’t voice acted yet. For someone who reads fast, you’ll be watching a stoic person bob their head for a few seconds (seeming like an eternity) before you’re able to interact again. You can start to see some of the dev team’s desire to make you feel as though the world around is living and breathing around you come through. One villager mentioned a monastery nearby, but also mentioned I couldn’t get to it…yet. Another brought up a Cuman (a Nomadic horse people from the vast Eurasian Steppe) ravaging another town over, giving you a sense that the world is larger than what is fenced into the alpha. The game has a small quest to acquire a bow, and the bow mechanics work well, assuming the quest to acquire the coins isn’t bugged. It took two full installs for the quest givers to not be bugged, but, again, that is something to be expected from an alpha. All in all, the game looks promising. The NPCs have full daily routines, even if a few stay farming well into the night. The world, as small as it is in the alpha, did feel somewhat alive. Warhorse Studios plans on updating the alpha with bug fixes and new content every couple of months, so you can be sure we will be revisiting the game and providing some updates on the title.